Historically, not including the All-Star games, the win-loss record for the home team in games when a president throws out the first pitch is nearly equal, standing at 39-37. Leading to the conclusion that there’s no real advantage or disadvantage of having a president throwing out the first pitch. 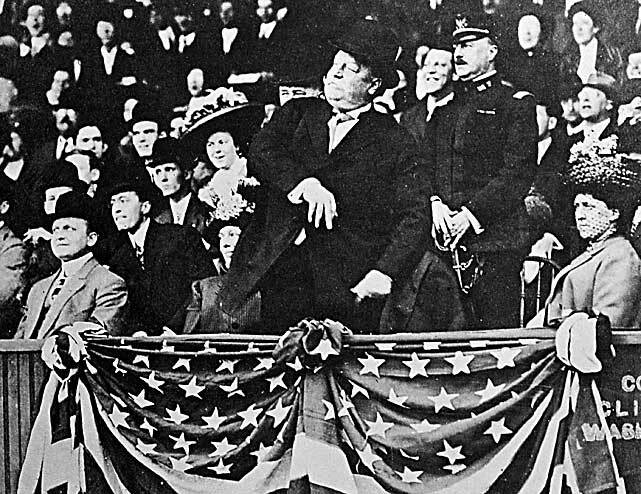 Woodrow Wilson became the first president to throw out the first pitch of a World Series game, when he did so on October 9, 1915. 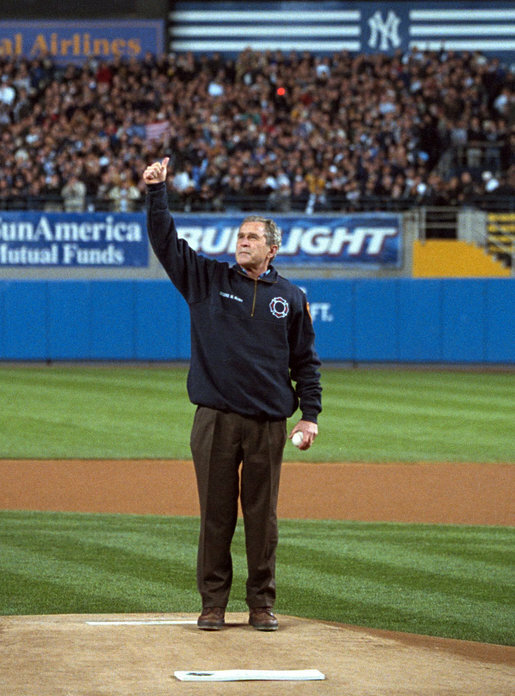 Calvin Coolidge, Herbert Hoover, Franklin Roosevelt, Dwight Eisenhower, Jimmy Carter and George W. Bush are the only other presidents to have thrown out a World Series first pitch since Wilson, however, Bush’s first pitch is probably the most memorable and meaningful pitch of them all; perhaps the most significant pitch in the 100 year tradition. Coming a mere 48 days after the September 11th attacks, President George W. Bush threw out the first pitch before game 3 of the 2001 World Series, in front of a sold out Yankee Stadium. Bush gave a quick thumbs-up to the crowd, as if to say “we’ll get through this, together”, before throwing a strike down the center of the plate. The Yankees would win the game, however, they would go on to lose the World Series to the D-back’s in game 7. The most recent presidential first pitch came from current President Barack Obama at National’s Park, on Opening day in 2010. Having been elected in November to a second term, odds are that Obama will throw out another first pitch; the only question being when and where. If Obama can schedule out a World Series first pitch, he will join Franklin Roosevelt as the only other president to have ever thrown out an Opening Day, All-Star game and World Series first pitch. If I were Obama, I’d figure out a way to make it happen. This entry was posted in Dailies and tagged Baseball, First pitch, MLB, President, President's Day by Matt Huddleston. Bookmark the permalink. I thought the president always threw out the first pitch at Washington home openers. I don’t think so. Obama didn’t do it in 2011 or 2012, so I guess not.